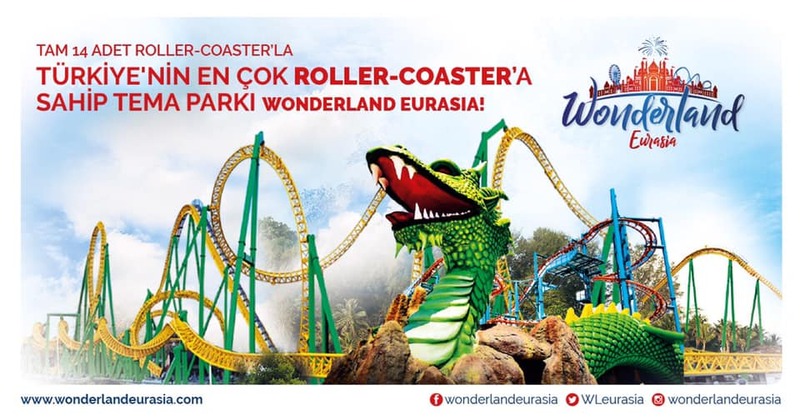 “Wonderland Eurasia will have major contributions to our city,” Erdogan told at the opening ceremony. He said the project will increase the brand value of Ankara and visitors will enjoy the park free of charge until the evening of March 31. The 1.3-million-square-meter park is home to 26 large rides, including 14 roller coasters, 2,117 smaller rides, a five-km rail system, stages for concerts, and the Digital Dark Ride – a multidimensional theatre with hologram shows and interactive animations. The park also boasts more than 2 million plants and hosts the world's second-biggest fountain, which can reach 120 meters [around 394 feet] in height. Erdogan said the park will generate an income of 50 million Turkish lira per year, with around 5 million visitors expected to visit annually.